As an action movie, it's great. As a true Bourne-like thriller, not so much. The original Bourne trilogy of Identity, Supremacy and Ultimatum were brilliant displays in effective storytelling and great action. Jason Bourne, however, isn't quite as proficient in both of those areas. On the one hand, it's action-packed to the brim, and provides for a hugely entertaining watch, but on the other, it's a disappointment as far as bringing yet another intriguing and truly thrilling mystery to life is concerned. Let's start on the bright side, however, with the action. Paul Greengrass does yet another sterling job at directing some hugely exciting action sequences (including a thrilling chase in Athens that harks back to Ultimatum's Tangier chase), and in tandem with yet another excellent performance by Matt Damon as Jason Bourne himself, the action is definitely the best part of this film. 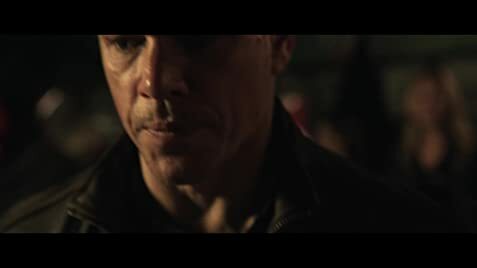 Where the story lacks, Jason Bourne more often than not gives you some insane action to revel at. Sure, it's not the work of storytelling geniuses, but if you're the sort of person who can turn their brain off for two hours and watch wall-to-wall action and explosions, then this film will have you in dreamland. It's not a Michael Bay movie, and Greengrass' style lends a lot to making more vibrant action sequences, but there's no doubt that fans of big action will love this film. On the whole, I did enjoy this film, and I was able to recognise its flaws and just watch it as a big blockbuster. However, I can't escape feeling disappointed at the film's total failure to tell as intriguing a story as the first three films in the series. The enthralling mysteries and gradual revelations about Jason Bourne's past were what really separated this series from any other spy thriller. In this movie, however, everything felt a lot more generic, with a much bigger emphasis on action than clever storytelling and patient, gradual character and plot development. Unfortunately, it's that that makes Jason Bourne look pale in comparison to the original trilogy, and those who are expecting yet another engrossing and intelligent thriller will certainly be disappointed. That said, there are bright moments in the story too. It's not a horrifically dull film, and there are a few details that relate right the way back to The Bourne Identity. What's more is that Matt Damon, Alicia Vikander and Tommy Lee Jones all put in very strong performances to add a degree of gravitas to what is in truth a very clichéd and repetitive story, which was good to see. 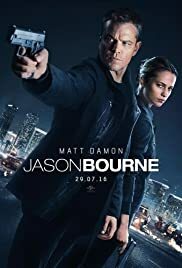 Overall, I am disappointed by Jason Bourne, in that it doesn't manage to tell such an enthralling and intelligent mystery as the series' original trilogy, but its top-quality action and strong directing and performances still allowed me to have a lot of fun for two hours. 196 of 255 people found this review helpful. Was this review helpful to you?